Your adventure starts in Centre Court. Help the Easter by trace his steps. 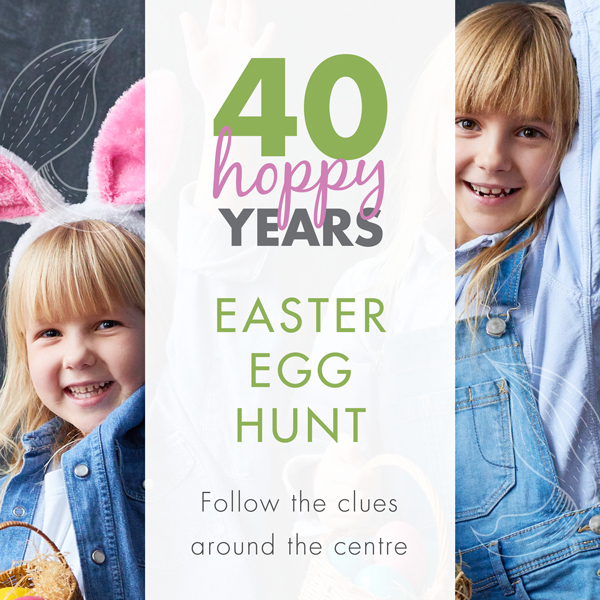 Follow the clues around the centre to reveal an Easter Surprise at the finish line. Kids, must be supervised at all times. Arrive at any time between 10am and 1pm.